This 2018 Dodge RAM 1500 is the heavy duty powerhouse you're looking for! This pickup is able to handle everything and anything you throw at it, whether you are working on site or a family chauffeur! This truck comes with bluetooth connectivity, trip comupter, and cruise control! Experience this do-it-all vehicle yourself and book a test drive today! 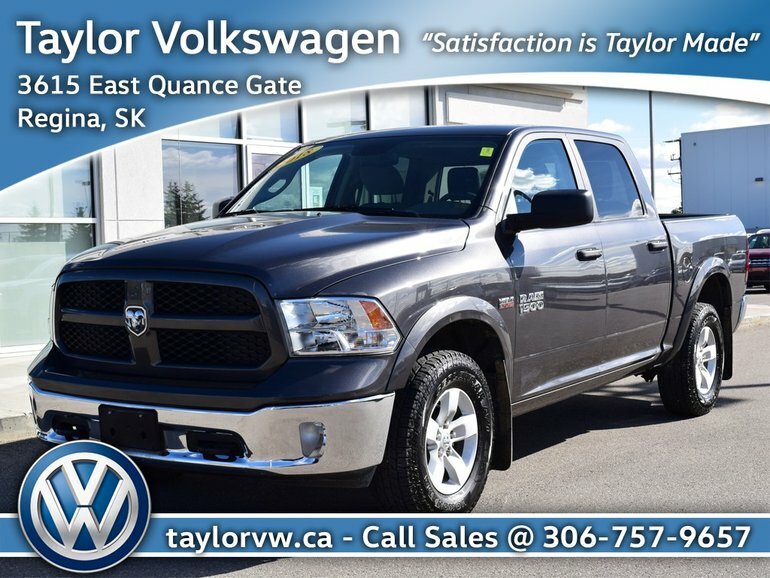 Interested by the 2018 Dodge RAM 1500 Outdoorsman(140.5' WB - 5.7' Box) March Madness Sale !! Save $4000 !! ?